This is just a fun little pattern, trying something a little different than the all-over pattern of the previous two pages. 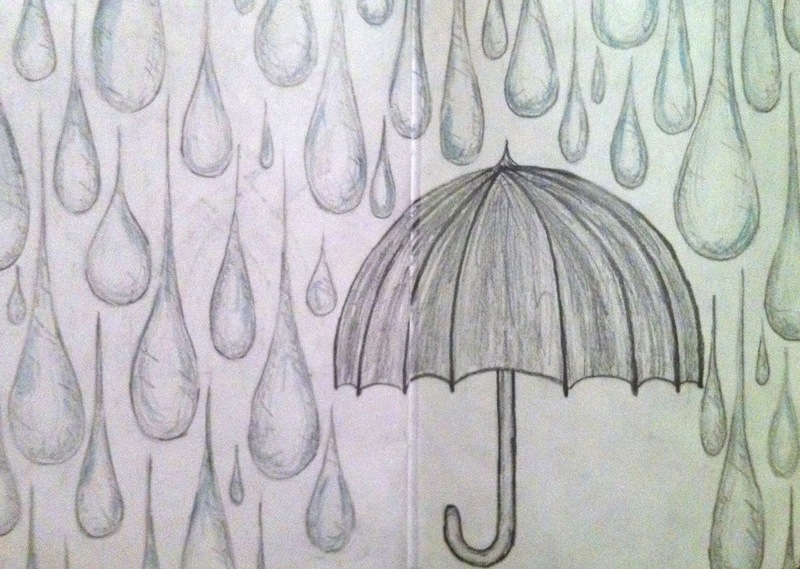 I also like the proportions, with the giant raindrops next to the small umbrella. 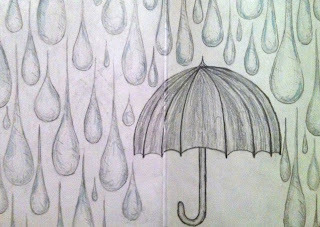 The idea for this one came from one of my original ideas for the them of this sketchbook, which didn't work out. So it made a cameo here instead.